(https://www.stellarinfo.com/outlook-pst-file-recovery.php ) helps as the best ScanPST.exe alternative. Thanks to Stellar Phoenix Outlook PST Repair that helps users where ScanPST.exe fails to repair corrupt PST file. Microsoft provides the Inbox Repair tool (scanpst utility) to scan and repair PST file. But sometimes it may fail or not work if the corruption level is severe. In such a situation, Outlook experts always recommend using a professional PST Repair tool. 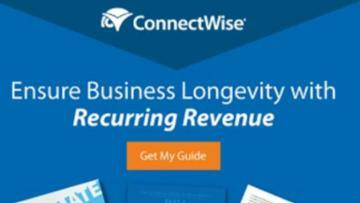 There are many vendors in the market which provide such software with the free demo version. By using the demo version, you can check the preview of the recoverable data. And if you're satisfied with the results, then only you should purchase the software. Read the blog posted at the https://www.recoveryfix.com/blog/ways-to-recover-corrupt-outlook-pst-files and know easy steps on how to repair corrupt PST file when ScanPST.exe fails. To save multiple attachments from Outlook emails, open your Outlook. Choose the targeted email from which you want to save attachments. If one email message contains multiple email attachments, and you want to save all of them, then choose all by pressing “ctrl+A”. After selecting all the attachments, right click and select the option “Save As” to save attachments. Save all your attachments to a desired folder in desired location. 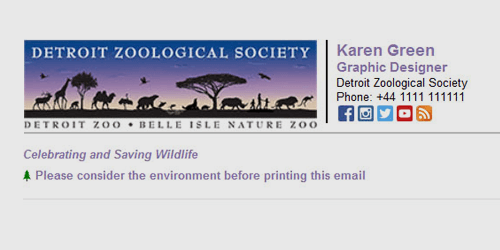 What if you also want to save the email body with the attachments? 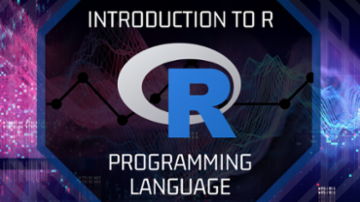 Will this manual method work? I tried but wasn't successful. Had to use a conversion utility Personal Mail Archiver to achieve extraction of attachments with the email body. There may be issues when you are trying to access Outlook or send & receive emails or due to Outlook crash which leads to corrupt or damaged PST file. To eliminate the corruption from your PST file, you need to repair the corrupt Outlook PST file. Use the most recommended software is Stellar Phoenix Outlook PST Repair which repairs your corrupt Outlook PST file and restores all mailbox contents. With the technician version of Stellar Phoenix Outlook PST Repair, you can save the repaired PST into Office 365. Also it allows to save the PST into MBOX and DBX . Read the blog post at the following web link: https://www.recoveryfix.com/blog/how-to-recover-corrupt-or-damaged-outlook-pst-files and easily resolve your all Outlook related issues. Whether it be Exchange Server Crash Issues, Dirty Shutdown Errors or Failed to mount error, Stellar Phoenix Mailbox Exchange Recovery has always got your back. With the help of its easy to understand user interface and 3 simple steps recovery procedure, your database will be up and running in no time! 6. Your recovered file is saved at your preferred location. CodeTwo Sync for iCloud automatically synchronizes your Outlook 2016, 2013, 2010 or 2007 folders with iCloud folders available via iCloud Control Panel. This video demonstrates how to create an example email signature rule for a department in a company using CodeTwo Exchange Rules. The signature will be inserted beneath users' latest emails in conversations and will be displayed in users' Sent Items folders. CodeTwo Exchange Rules applications allow for central management of signatures and company disclaimers in mail on Microsoft Exchange 2016, 2013, 2010, 2007, 2003, 2000 and Small Business Server. This Experts Exchange video Micro Tutorial shows how to tell Microsoft Office that a word is NOT spelled correctly. Microsoft Office has a built-in, main dictionary that is shared by Office apps, including Excel, Outlook, PowerPoint, and Word. When an Office module, such as MS Word, gives us the red squiggly underline signifying a misspelled word, yet it really is spelled correctly (such as a proper noun), we're all familiar with how to add it to the custom dictionary, that is, simply right-click the word and select Add to Dictionary. But suppose we type in a word that does not get the red squiggly underline, that is, Word thinks it is spelled correctly, yet we do not like that spelling, and we want Word (and other Office apps) to flag it as a misspelling. This video explains a Microsoft supported technique for achieving that. Of course, <username> is your user name (in my video, it is Joe). The exact name of the file will vary depending on your language and Office version, but it will begin with ExcludeDictionary and have a LEX file extension. Thank you for the detail and writing it in an understandable way. Based on your information, I played around with the various English files and my locale and language settings and saw it work as you suggested. I also found that it is safe to simply delete the files, and let Office recreate the appropriate one when it performs a spell check. In a previous video Micro Tutorial here at Experts Exchange, I explained how to get a free, one-month trial of Office 365, which provides the desktop versions of Office 2016. For Windows, this includes Access 2016, Excel 2016, OneNote 2016, Outlook 2016, PowerPoint 2016, Publisher 2016, and Word 2016, as well as Microsoft OneDrive. 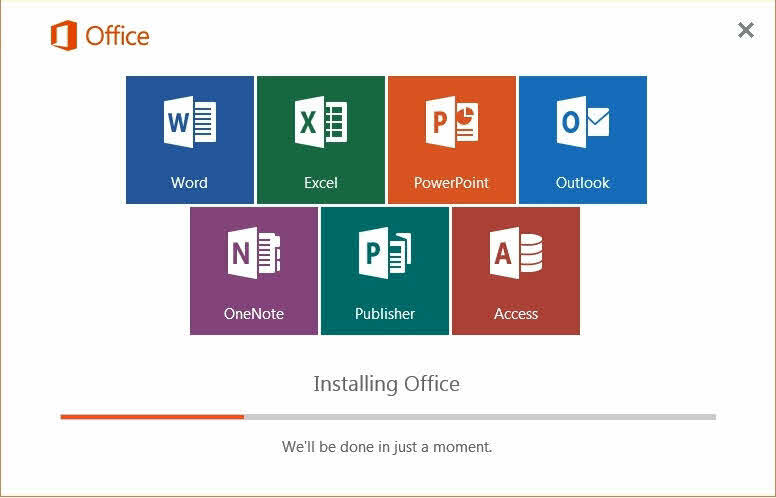 The previous tutorial ended at the point of downloading the installer for the Office 2016 desktop modules for Windows. This new tutorial goes through the installation process for those applications. 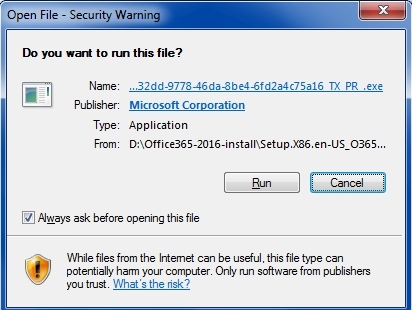 Run it (usually, via a double-click, but that depends on your file manager and settings) and then click the "Run" button on the "Security Warning" dialog. 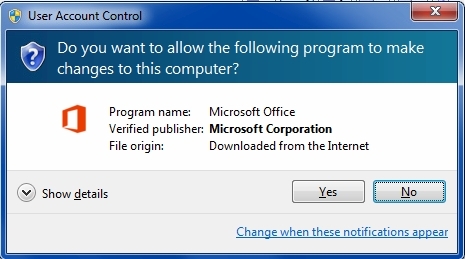 Depending on your User Account Control (UAC) settings, you may or may not get the UAC dialog. If you do, click the "Yes" button. Although it says, "We'll be done in just a moment", grab a cup of coffee. Check to make sure that the installer created a "Microsoft Office 2016 Tools" program group, with two shortcuts in it. Office 365 is currently available in five editions. Three of them are for business use: Office 365 Business Essentials, Office 365 Business, and Office 365 Business Premium. Two of them are for home/personal use: Office 365 Home and Office 365 Personal. 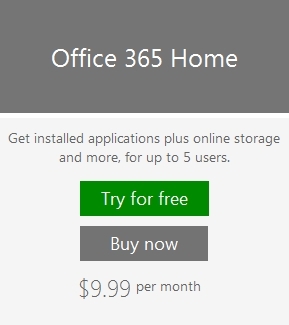 However, only one of them offers a free trial — Office 365 Home. This Experts Exchange video Micro Tutorial explains how to go through the process of obtaining the free, one-month trial for Office 365 Home, which includes the desktop versions of Office 2016. For Windows, this includes Access 2016, Excel 2016, OneNote 2016, Outlook 2016, PowerPoint 2016, Publisher 2016, and Word 2016, as well as Microsoft OneDrive. In a subsequent EE video Micro Tutorial, I show how to install the downloaded desktop versions of those Office 2016 modules in a Windows 7 system. Click the "Try for free" button. Click the "Try 1-month free" button. 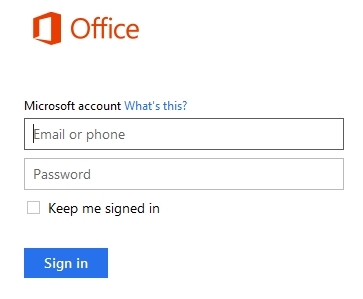 Enter your email or phone for your Microsoft account, your password, and click the "Sign in" button. Even though it is a free trial, you must provide a payment method and go through the payment process. So be prepared with a credit/debit card or a bank account or PayPal. If you are unwilling to provide a payment method, you cannot get the free trial. Get people started with the process of using Access VBA to control Outlook using automation, Microsoft Access can control other applications. An example is the ability to programmatically talk to Microsoft Outlook. Using automation, an Access application can launch Outlook, and create email messages, calendar items, and contacts. 1. Create a reference to the Outlook application object. 2. 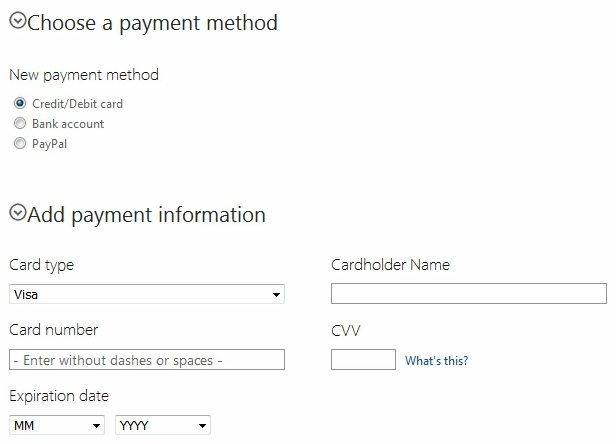 Write code that launches Outlook, and creates an email message, a calendar item, and a contact. 3. Explain that other commands can be used to programmatically control Outlook. Very nice. The screen is too small to read. It would have been more illustrative if you would have included the vb file.